One of my goals as a human is to become more loving, more supportive, a better friend and person. That’s how this item, vague as it may sound, ended up on my list of things “to do” though it may be more suited to a list of things “to be.” Whatever, here it is. I was in Mexico in January of 2009 when I got a facebook message from my former roommate and BFF Kathleen. The message was along the lines of “what are you doing on April 20? do you want to go to Boston? I’m running in the marathon.” I sent a note back: “Sorry, that’s the weekend we’re traveling home from Mexico; I can’t make it.” A few minutes later, I thought “What are you thinking? 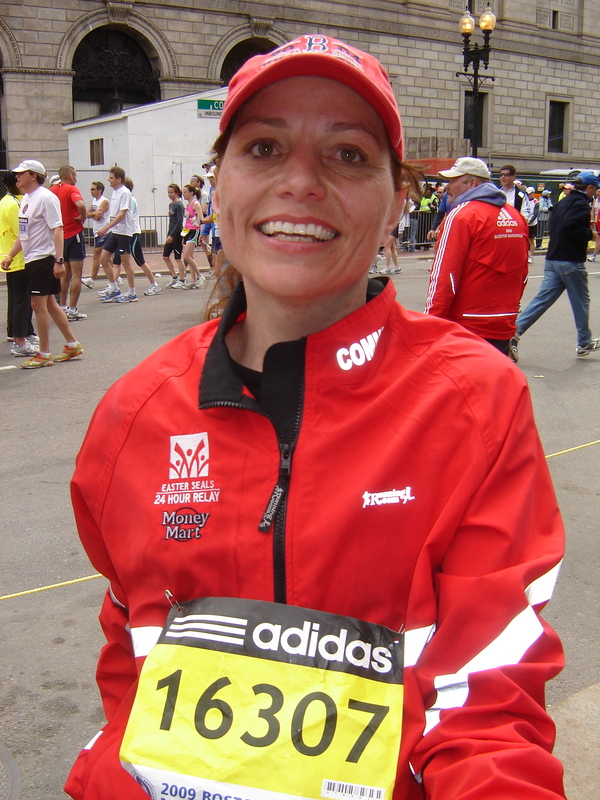 Kathleen is running in the freaking BOSTON MARATHON and you can’t go because you have a plane ticket? That’s not good.” Kathleen, when she was a young girl, had a picture on her bedroom wall of a woman running in the Boston Marathon; for as long as I had known her, it was on her list of things to do. Clearly, a new approach was required on my end (and you can see why the item is on my list – it needed to be there!). I asked my husband, whose wanderlust prevents him from saying no to any trip, anywhere, if he’d like to go to Boston and he did not disappoint. I sent Kathleen a new note: “Disregard previous communication. OF COURSE we’re coming to Boston!” About an hour later flights were changed, hotels were booked, and the excitement was mounting. When we arrived, I don’t think Kathleen has ever been happier to see me. 🙂 She was convinced that none of her friends would come all this way for a race. It was sweet, really, realizing just how incredibly easy it is to make someone happy if you just put in a little effort. Saturday night we had the most wonderful Italian dinner ever (maybe topped only by my best ever meal in Italy). 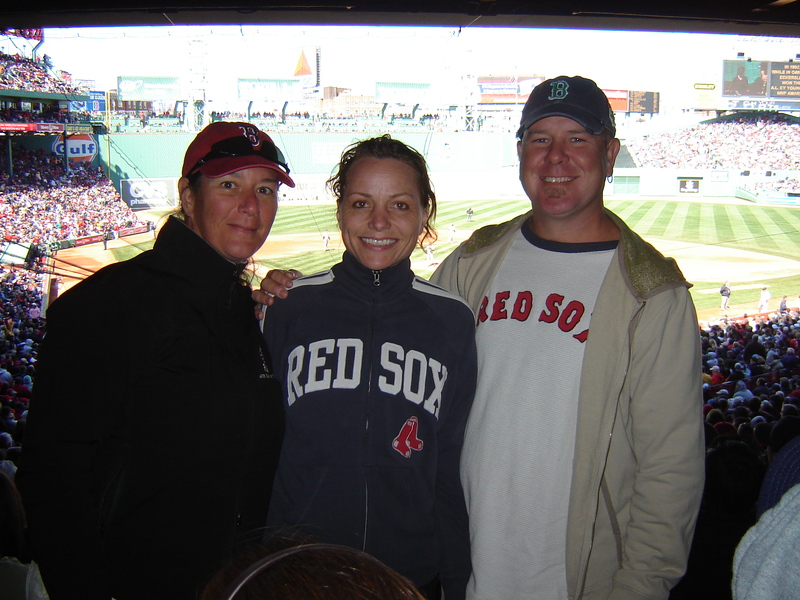 On Sunday, the day before the race, we wandered down to Fenway Park, bought some tickets from a scalper, and went to see the Red Sox. What an awesome day that was! I loved the Bahstahn accents, the smell of the park, the hoards of people and the atmosphere. Fantastic! Kathleen, you were (and remain) AWESOME! ~ by ktatkins on March 9, 2010. Kari! You inspire me. What a great story.